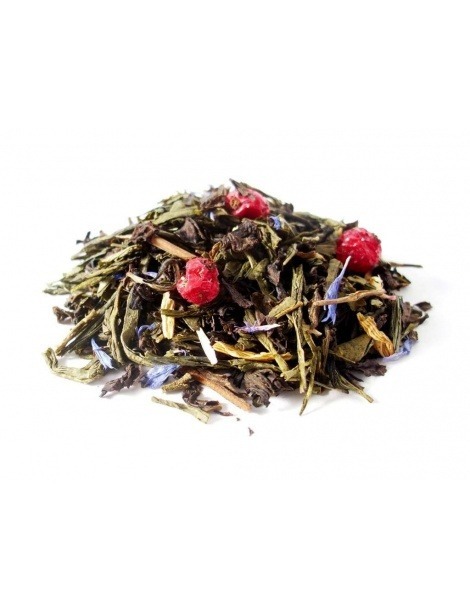 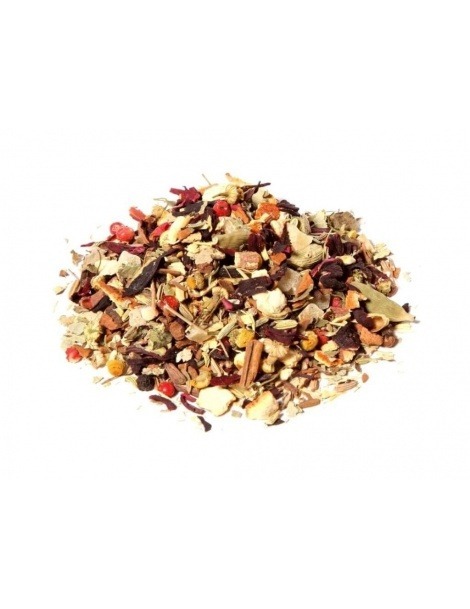 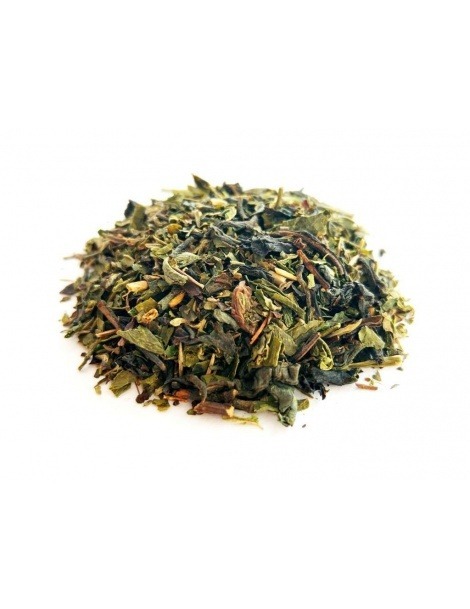 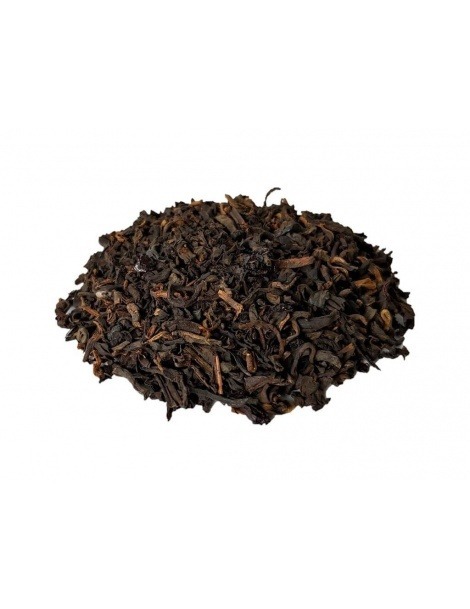 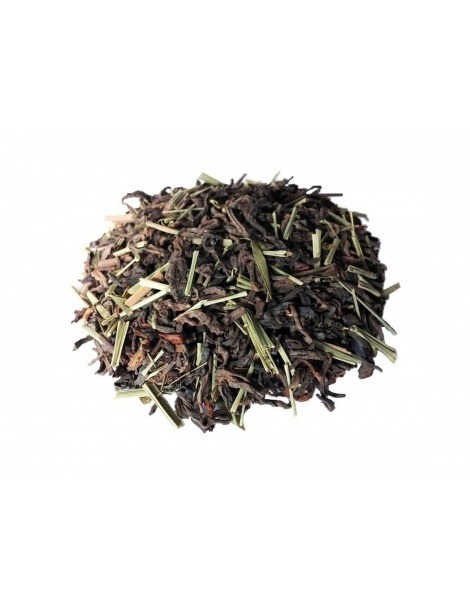 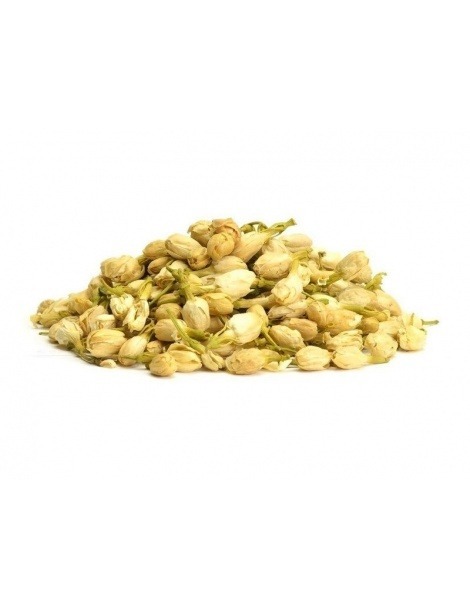 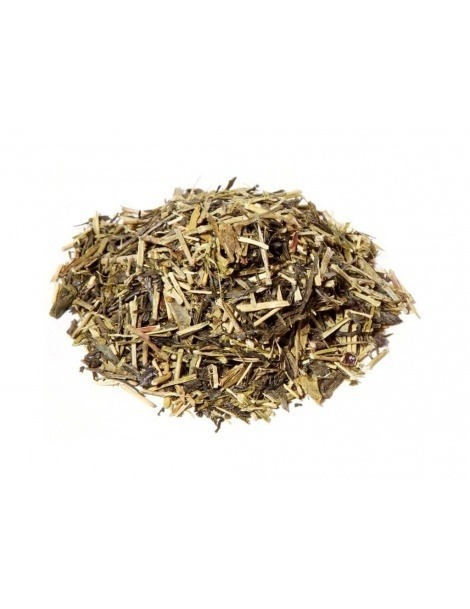 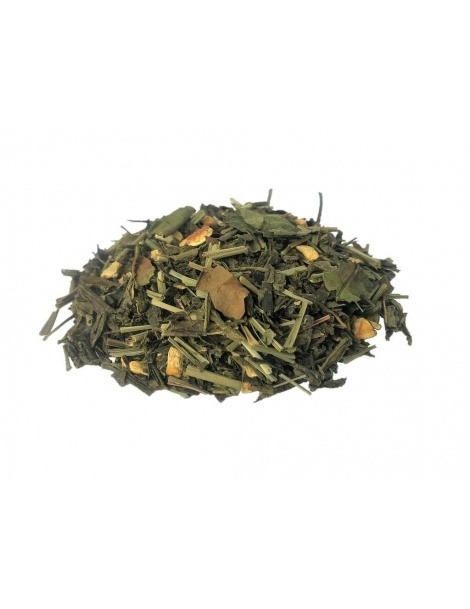 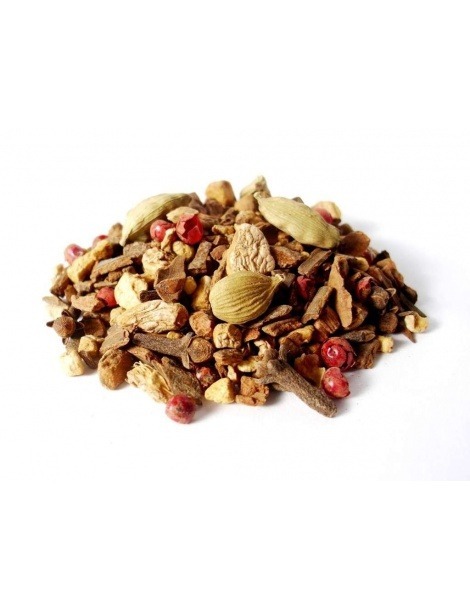 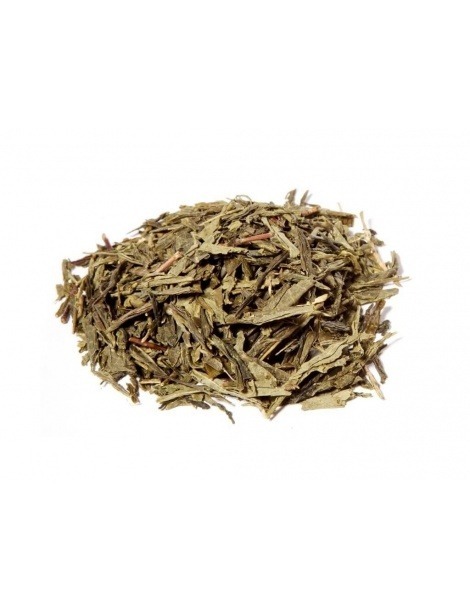 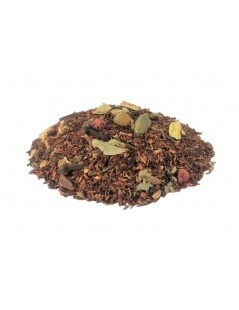 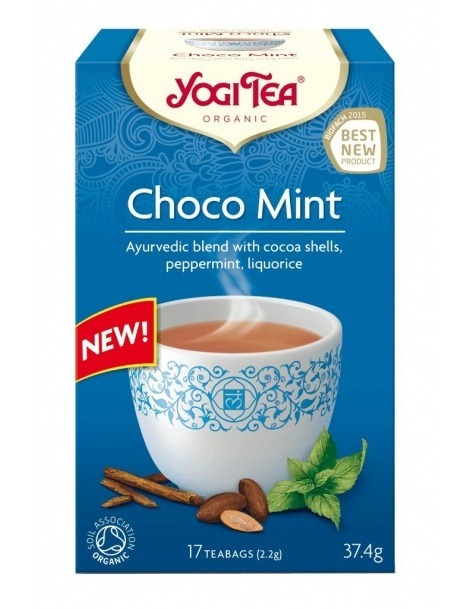 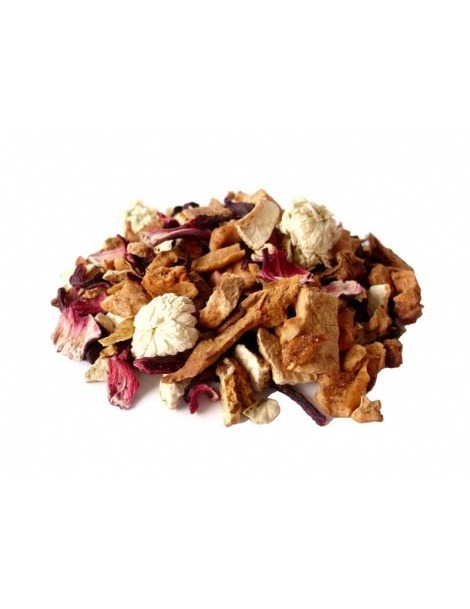 This is a natural blend of rooibos inpired with ingredients of ayurvedic medicine. 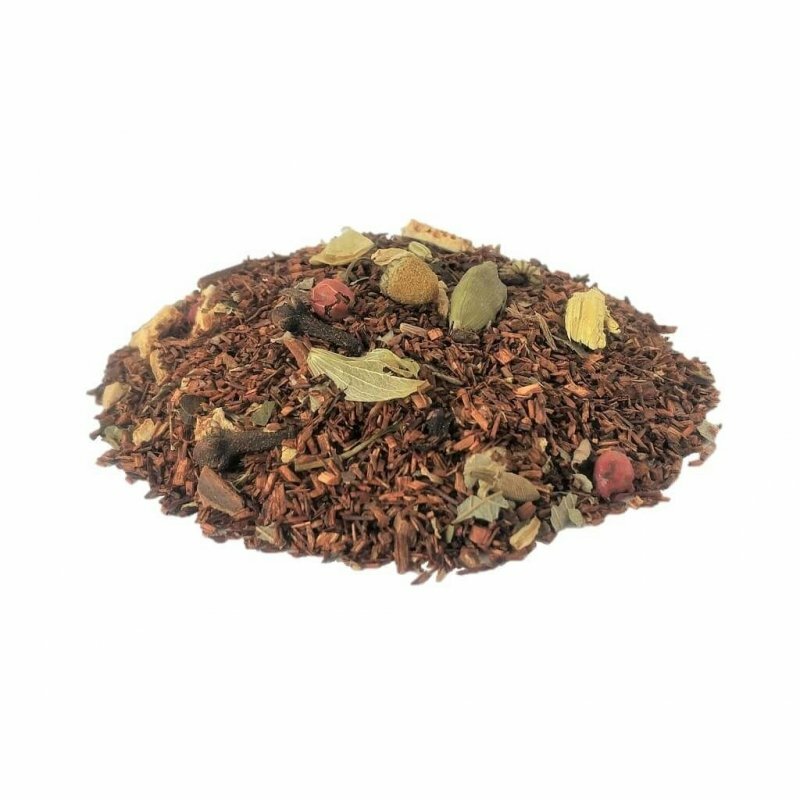 Ingredients: Rooibos (80%), pieces of cinnamon, pieces of ginger, pieces of pineapple, licorice, orange peels, hibiscus, clove, leaf of mulberry, chamomile, flowers, hops, fennel, red pepper, and cardamom. 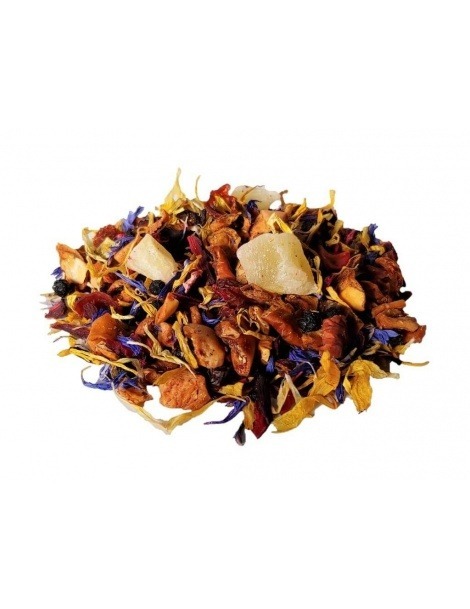 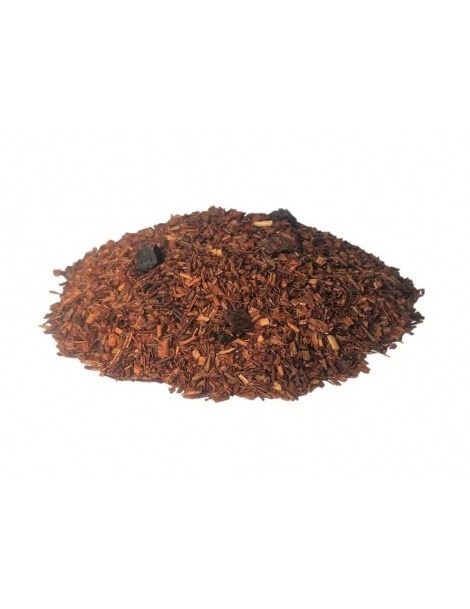 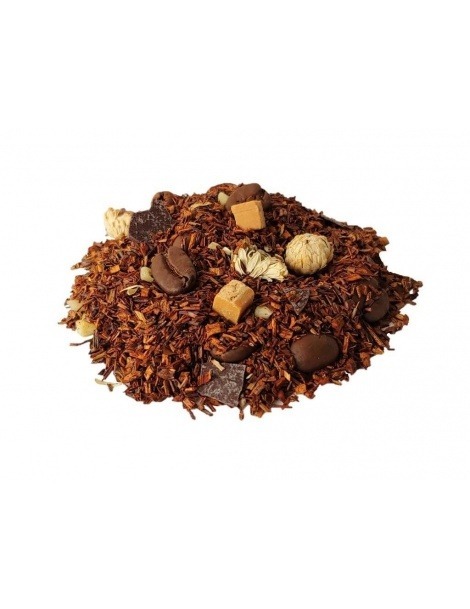 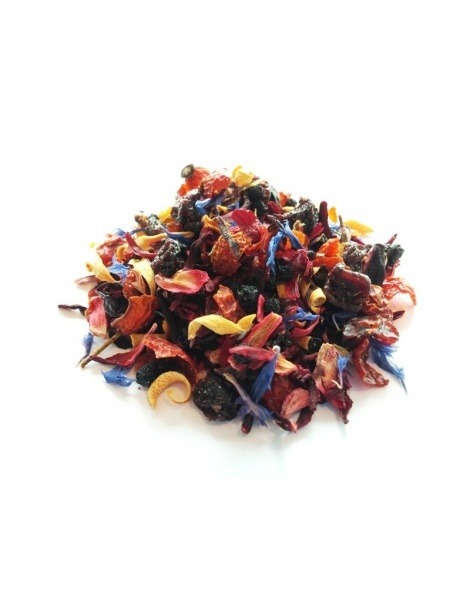 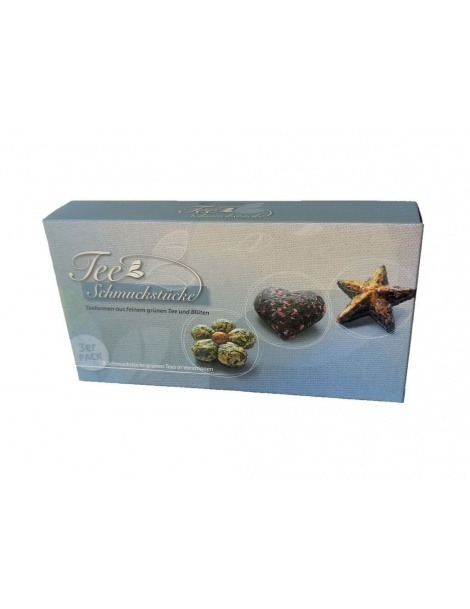 Properties: This is a special blend of rooibos with herbs, spices and fruits, dehydrated, that you can enjoy, savor and relax, being a excellent mix in combating daily stress, fatigue and the regulation of sleep. 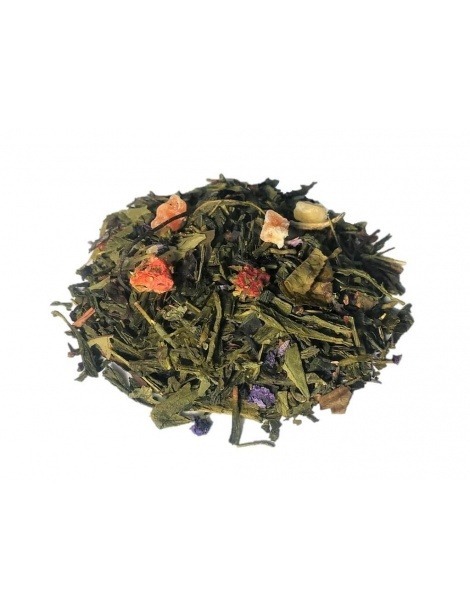 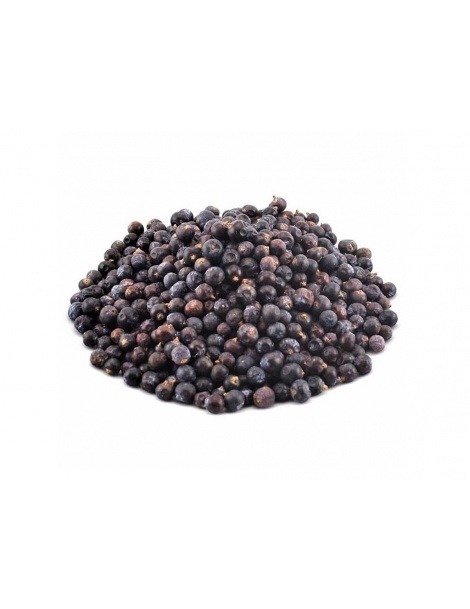 This infusion provides the effects to be calming and soothing.